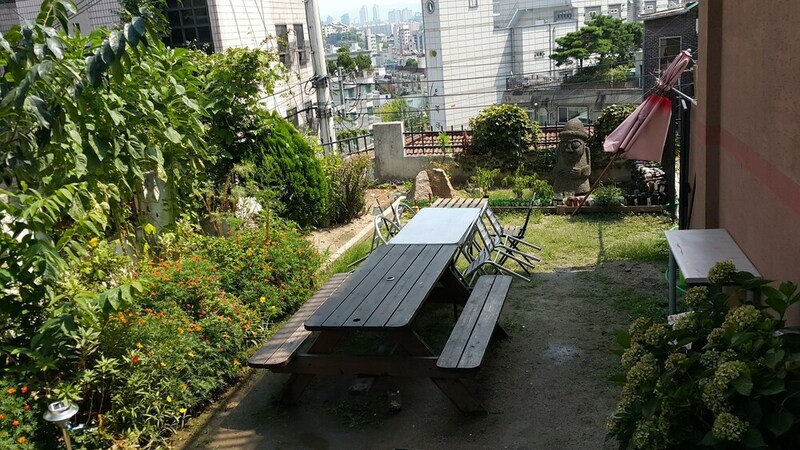 Located in Yongsan-gu, this hostel is 0.8 mi (1.3 km) from Namsan Park and 3 mi (4.8 km) from Myeongdong Street. War Memorial of Korea and Seoul Plaza are also within 3 mi (5 km). Along with coffee/tea in a common area, this smoke-free hostel has free use of bicycles and dry cleaning. Free WiFi in public areas and a free manager's reception are also provided. Additionally, laundry facilities, express check-in, and express check-out are onsite. A complimentary manager's reception is offered each day. Wired and wireless Internet access is complimentary. For a surcharge, a roundtrip airport shuttle (available 24 hours) is offered to guests. This Seoul hostel also offers a terrace, tour/ticket assistance, and barbecue grills. Itaewon Backpackers is a smoke-free property.